Your Solution for Maximum Warmth in a Single Layer! 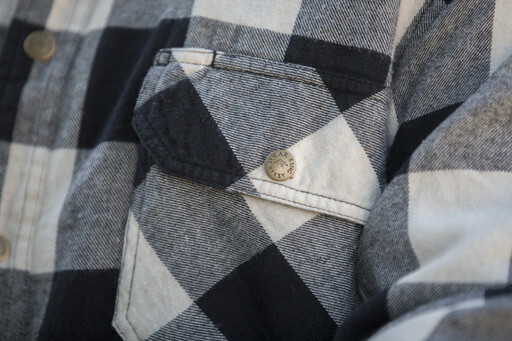 The POLAR KING Fleece Lined Brawny Flannel Shirt is your solution for maximum warmth in a single layer. This heavyweight yarn dyed cotton shirt is designed to keep you warm and has been garment washed to feel soft to the touch. The fleece lining provides another layer to insulate and keep you warm. This shirt is constructed with a banded collar, hemmed bottom and double needle seams for durability. Adjustable cuffs ensure a comfortable fit, while taffeta lined sleeves allow for easy on, easy off. Keep your essentials at your fingertips in the double chest pockets that include a pencil slot on the left side. For comfort that lasts, choose POLAR KING.